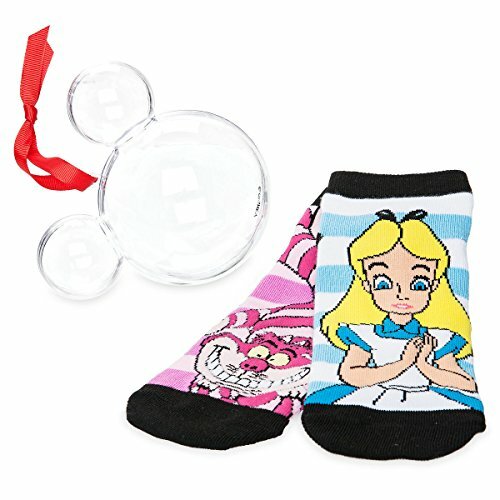 Alice and Cheshire Cat ankle socks. 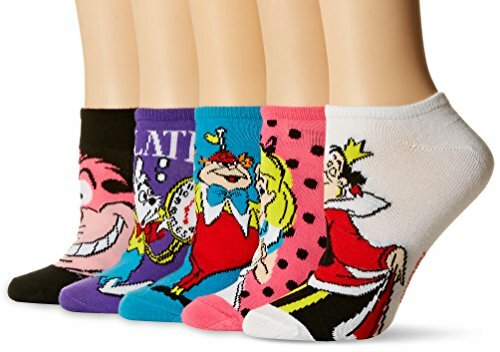 Fit women's shoe sizes 4-10. 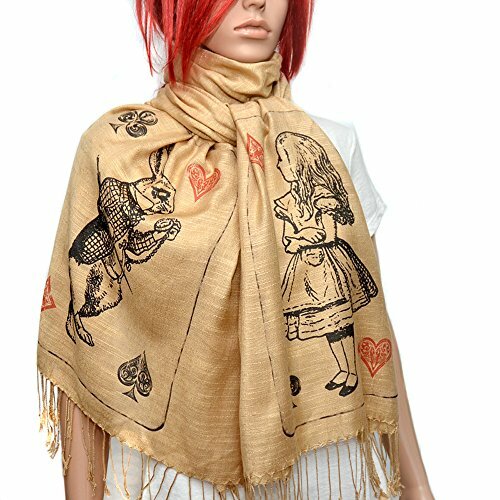 Beige Shawl / Scarf with linen-like texture and prints of Alice and the White Rabbit in playing cards. Cheshire Cat tie clip. Comes in a gift box.